Having the best of both worlds is what Chinoys are relishing. Picking up positive traits from both race as Chinese and as a Filipino forms a unique quality that does not just conform to simply being movers or doers but a prominent figure in the community. Having been raised in a diverse country, Chinoys are resilient to disruption and are not afraid to go out of their comfort zones on their quest for excellence. 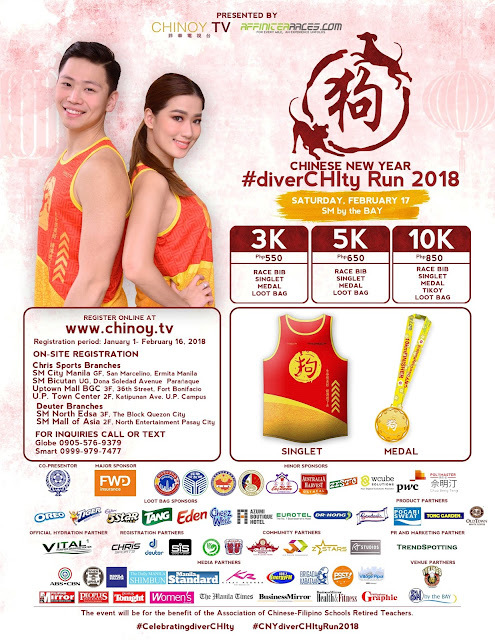 Given these, the campaign DiverCHIty is launched for all proud Chinoys in line with Chinoy TV’s 8th year anniversary acting as a pillar of the Chinese-Filipino community. The campaign aims to gather individuals / groups who share the same cause of promoting diversity, individuality and unity amongst the Chinese-Filipino Community. 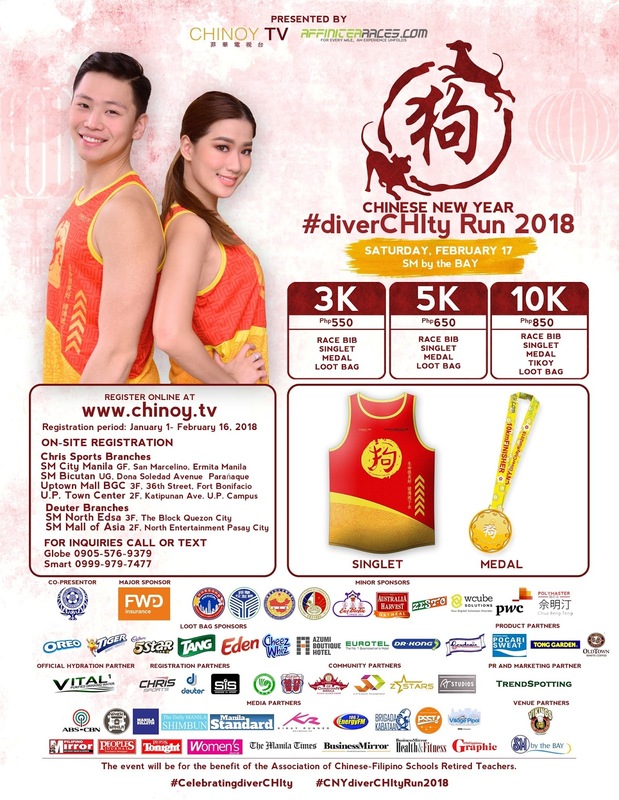 DiverCHIty Run will happen this February 17, 2018, 4am at the SM by the Bay. Whiz, Australia Harvest, Zesto, Azumi Boutique, Eurotel and Vikings Buffet. Trendspotting with event promotion as its official Publicity &amp; Marketing partner and with the help of media partners, Manila Bulletin, Business Mirror, Pilipino Mirror, BM Health &amp; Fitness, Philippine Graphic, Manila Standard, The Manila Times, Manila Shimbun, Peoples Journal, Peoples Tonight and Women’s Journal.